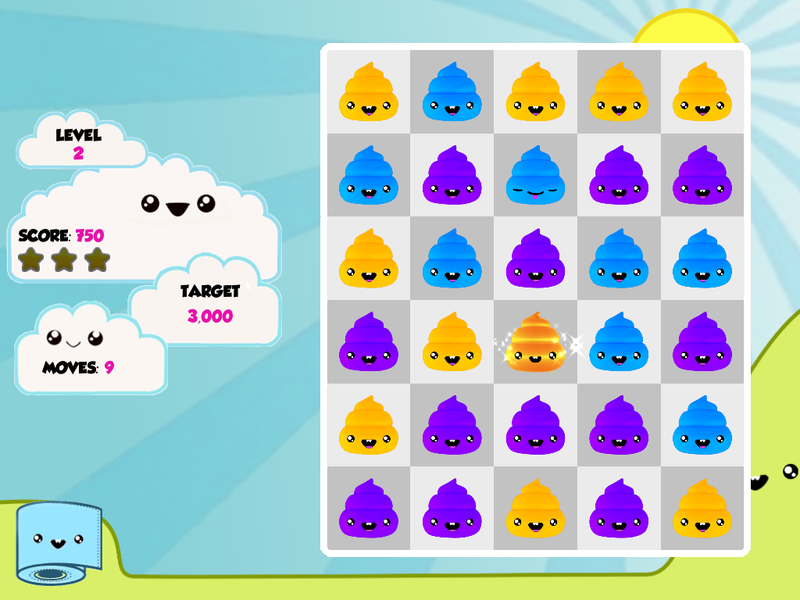 A color-matching puzzle game with poop. Drag your finger to connect poops of the same color to clear them. 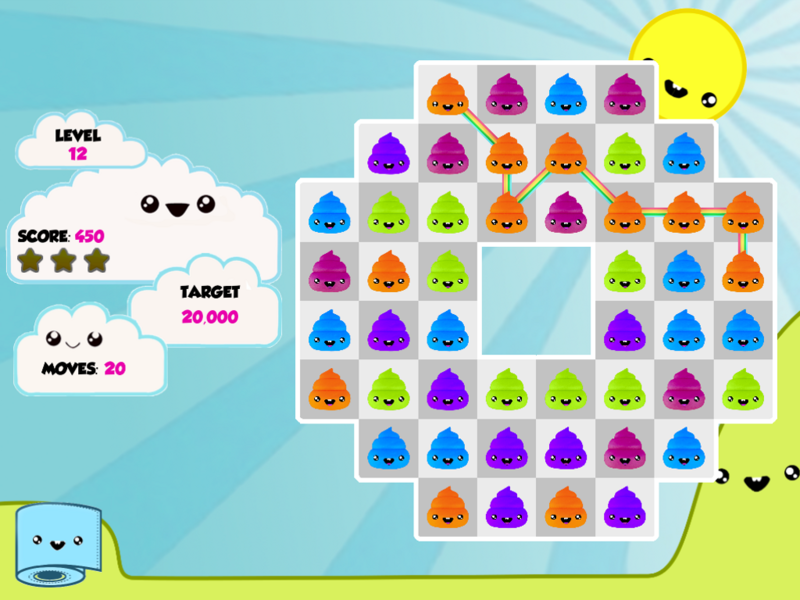 Longer chains earn you more points, and can even create special shiny, golden, or rainbow poops. I was the only programmer on this project, and completed all of the software design and implementation. I also integrated the game with social media and Storekit. I designed the gameplay, levels, and special pieces and obstacles.